The MENTOR Initiative is looking to recruit, on an urgent basis, a Logistics Coordinator for our mission in the Central African Republic. The Logistics Coordinator is a member of the Country Management Team (CMT) and as such actively assisting the MENTOR Initiative Central African Republic in achieving programme objectives in a timely manner and strategically develop its support in response to identified needs on the ground. They will work closely with the head of mission, the finance coordinator and the medical coordinator in providing required logistics operational support as per logical frameworks and/or in accordance with the programme grant/award specifications. The Logistics Coordinator manages a team comprising of both expatriate and national logistical staff. Carry out a full security assessment of the areas where MENTOR is operational. In collaboration with the CD, ensure regular updates of security guidelines for the MENTOR team members in the mission. Directly responsible for organising the increase of the MENTOR fleet in CAR. This includes purchase of second hand, suitable vehicles for the mission as well as rental when appropriate. Coordinate and ensure the maintenance and repair of all vehicles. This includes long term solutions for quality maintenance by skilled people. Ensure the proper usage of vehicle log books, fuel consumption, daily / weekly routine checks etc. 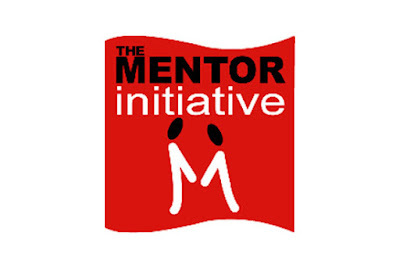 Keep current documentation, maintenance and insurance of all vehicles used by the MENTOR Initiative in the Programme. In close collaboration with the HQ Operations Support Officer, directly responsible for coordinating and follow up on all international procurement. This includes the preparation of all documentation required as per the MENTOR standard procurement procedure. Directly responsible for all local procurement of programme entrants and operational support items. This includes supervising that MENTOR standard procedures are applied and respected at all levels for national procurement. Directly responsible, with the local logistical team, for the consignment and Customs clearance of goods. Ensure that MENTOR standard procedures are in place for stock management at all levels (stock cards, waybills, stock requests, inventories). In close collaboration with the Medical Coordinator, ensure correct management of MENTOR Initiative pharmaceutical stock. Coordinate and ensure the maintenance and repair of all generators, communication equipment and IT equipment. Coordinate the logistical filing system to include all equipment manuals, maintenance schedules and logs documentation e.g. way bills. In collaboration with the CD, oversee the identification and set-up of new bases as required. This includes coordination of potential renovation work, electrical fittings, sanitation etc. Procurement and maintenance of essential items for mission bases (generator, internet, water supply, computers, communications equipment etc.). In close collaboration with CD, ensure security precautions are adequate for all mission bases as per context requirements. If required, source secure warehousing facilities. Participation in / organisation of regular team meetings as required. Ensure that the MENTOR code of conduct and internal rules and regulations are adhered to and respected. Support the logistical aspects of distribution of LLINs. Ensure back up logistics for IRS campaigns as required. As required, provide logistically related information for proposals and budget designs for new grant submissions. Provide logistical input to the regular internal sit-reps.
Includes the possibility of transfer to another similar post in another MENTOR Initiative country programme within the period of this contract agreement. Any other duties as may be assigned by the CD and agreed with the Director.